The Spyderco Salt One Knife is our Day 23 feature in the 25 Reviews of Christmas. Having a quality knife in your tackle box while out on the water is a must have for any kayak angler. Yak Outlaws fan, Aaron Shreve, shares his thoughts on a great quality knife from Spyderco. Every kayak fisherman can benefit from having a good knife for saltwater fishing. Most of us have at one point bought a cheap knife just to cut bait, and two days later it is full of rust. Spyderco has solved this problem with their salt line of knives. I have had a Spyderco in my pocket for the last two years as a every day carry, but I have not implemented that into fishing saltwater due to the harsh conditions. I purchased the Spyderco Salt One for just this reason. The H1 steel out of Seki City Japan was developed to combat the harsh conditions of saltwater. They have achieved this with a Ph steel called H1. H1 uses a precipitation-process alloy that is rolled hard without heat-treating and has .1% nitrogen which acts like carbon in the steel matrix. This does not react to chlorine that produces rust. 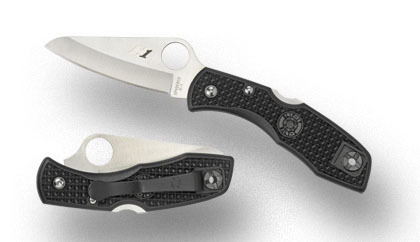 The Spyderco Salt One was developed specifically for use around saltwater. With its rounded tip and thicker point it lends itself well to cutting bait without a sharp point to potentially stab an appendage. The deployment hole has been enlarged to 14mm to accommodate the use of gloved or wet hands. All of the steel components (lock bar, clip, and pins) have been treated making them impervious to rust and pitting. The grips are made of fiberglass reinforced nylon (FRN) in the volcano texturing for friction-resistance to slipping. 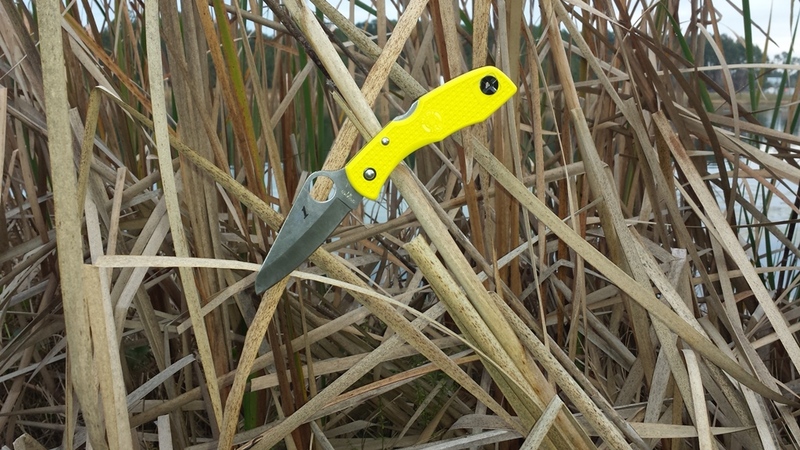 The Spyderco Salt One comes in 2 colors: black and high visibility yellow. The pocket clip is made of titanium as well for corrosion resistance that is ambidextrous in the tip up configuration only. As well as a lanyard hole to accommodate some paracord or string to be worn around the neck or better grip out of the pocket. The dimensions of the Spyderco Salt One are, 7” overall length, 3” blade length, 4” closed length, 2.687” cutting edge, .093 (2.5mm) Blade thickness. At only 2oz it is super light and disappears in your pocket. The salt line from Spyderco has different sized models: the Pacific, Atlantic, Salt One, Dragonfly, Ladybug and more to suit your needs. The retail on the Spyderco Salt One slatwater knife is $119.95. In conclusion I highly recommend the salt series of knives from Spyderco if you work or play around the water. You will not regret that investment. Aaron Shreve has been fishing his whole life, in both salt and fresh water. 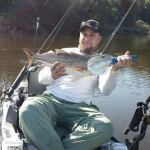 Aaron has been a kayak angler for the past 5 years, fishing in multiple tournaments around the state of Florida. 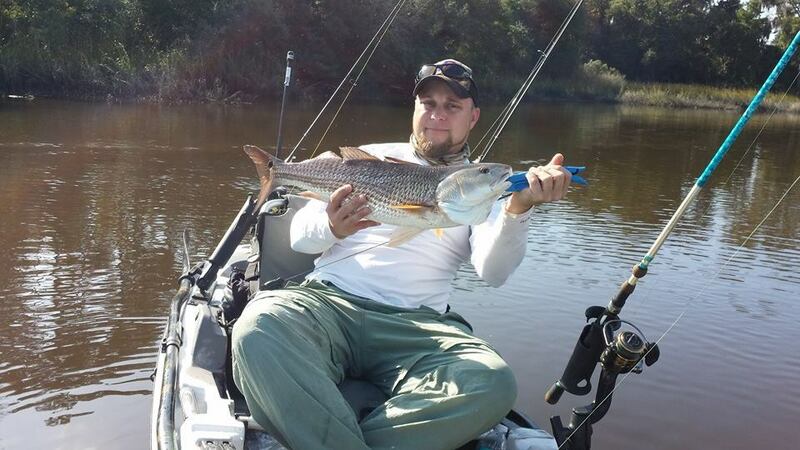 Aaron resides in Jacksonville, FL and spends his time on the water chasing inshore saltwater species.